Muesli bars are a healthy snack, and even more so when they are homemade. What's important to note when making your very own muesli bars is the use of honey. 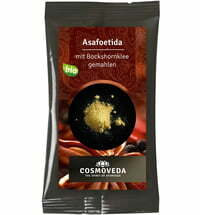 The more honey (and less sugar) added to the recipe, the softer the consistency and vice versa. This recipe uses a 50:50 mixing ratio. Coat a square-shaped tin with a small amount of oil. Chop the walnuts and hazelnuts in chunky pieces and mix with the other ingredients (excluding sugar, honey and salt). Heat the sugar, honey and salt in a pot until the sugar starts to melt. Remove the pot from the stove and add the sunflower oil. Add the remaining ingredients to the pot and mix. Pour the mixture into the pre-coated tin, smooth the surface and bake in the oven at 200°C for 40 minutes. Leave to cool and cut into bars using a sharp, oil-coated knife. Store in a cool and dry place. Enjoy! 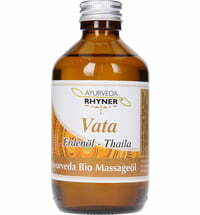 Ayurveda Rhyner Vata -​ "Earth Oil"
Summer is Pitta Season - What Can We Do About It?